Blanket forts are great. As kids, we love the feelings of warmth and security that come from being wrapped, safe from the world, in that cozy embrace. IT security pros get a similar feeling when network communications are wrapped in a virtual private network (VPN). VPNs are encrypted "tunnels" through which network traffic can safely flow. But simply having a VPN in the toolkit isn't enough to keep data safe; the VPN has to be deployed properly and used correctly to be effective. There are two scenarios for deploying a VPN. One is "point-to-point," in which a VPN protects the network links between servers, data centers, or large infrastructure blocks. The other scenario is for mobile, where the VPN wraps the communication from a laptop, desktop, or handheld computer in the blanket fort of encryption wherever the device may be. In many ways, the VPN between fixed assets is the easier deployment, since it will be totally within the control of the central IT group to connect assets that rarely, if ever, change. 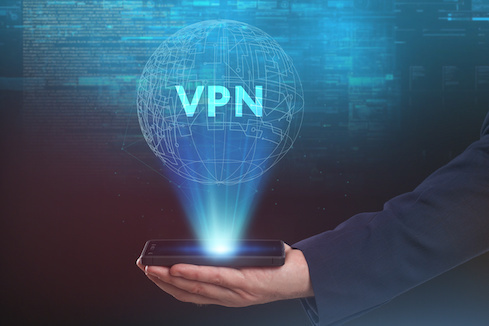 However, the mobile VPN "in the wild" is a much different deployment exercise, one that requires particular attention in order for the VPN to be truly effective at protecting the data flowing to and from devices in the field. What can an organization's security staff do to make sure that its VPNs are protecting all of the data that has to flow from the field? Start with the steps described here, each of which must be communicated with employees so they understand how important data protection is. One additional point: For purposes of this article, we're discussing VPNs as a general tool — not just the public VPN services widely used by consumers. If you're already using VPNs for all your network connections, let us know what your best practices look like in the comment section, below. Great tips. Thank you very much! Legit, I think the best thing you can do is install a VPN on your router. I know from experience that ExpressVPN has their own router apps, I think Nord may also.